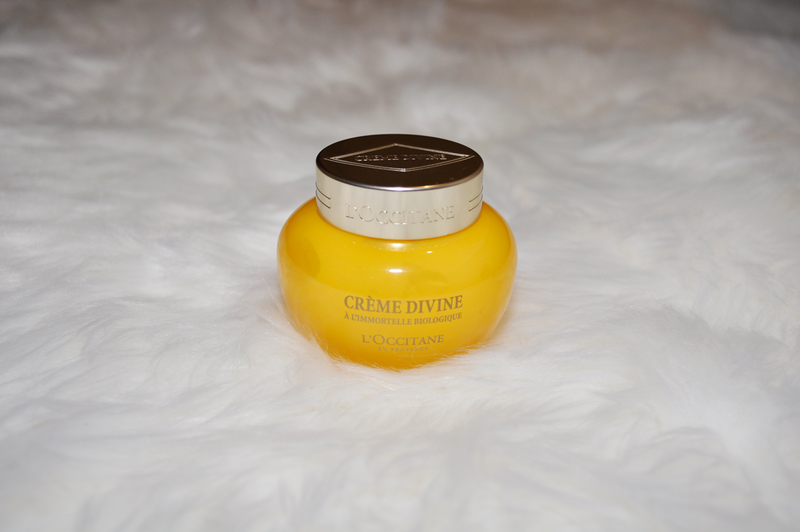 If anyone asks me what is the best face cream on the market today, I’d have to say L’Occitaine Immortelle Divine. I was given a sample bottle by my sister, she highly recommended it. At first I thought it was quite pricey, but after I tried it I was hooked. A little goes a long way, the jar will last for quite some time. This cream is thick but fast absorbing and non greasy, leaving your face hydrated, smoother and softer. My skin feels instantly plumped and my pores appear smaller. It acts like a primer and makeup glides on and seems to last all day. Dont forget to apply it to your neck, working upwards and alternating between the left and the right hand. The neck and décolletage area are the first to show signs of ageing. Organic microencapsulated Immortelle essential oil. A complex of 7 naturally derived active ingredients: Marsh Clover, Myrtle, Honey, Bellis Perennis, Hyaluronic Acid, Evening Primrose Oil and Camelina oil.